PARIS (News.az)—French President Nicolas Sarkozy on Thursday called on Armenia and Azerbaijan to come to a quick agreement on the basic principles of a Nagorno-Karabakh settlement proposed by the OSCE Minsk Group, AFP reported. The French president made his remarks during a luncheon in honor of Azerbaijani President Ilham Aliyev, who was in France on an official visit. The two leaders met earlier in the day for talks on economic cooperation, energy, and regional security. According to News.az, Sarkozy welcomed what he described to be the “positive dynamic” of the negotiations, referring to the six meetings held between the Azerbaijani and Armenian presidents this year. The French president also underscored the importance of Iran’s full adherence to its international commitments and called on President Aliyev to use his influence on Iranian officials. Sarkozy thanked Azerbaijan for its support in Afghanistan as part of the International Security Assistance Force, working under NATO. He appreciated Azerbaijan’s role in the energy security of Europe, stressing French support for the Nabucco pipeline which will pump gas from the Caspian region to Europe. Mr. Sarkozy would you recommend that Armenia withdraw or settle this dispute as rapidly as your army evacuated Cilicia?? Maybe the french army can provide the lessons learned from 1923? “Quick Agreement on Karabakh Deal” = Armenians concede lands to to Azeris with absolutely no justification or rational reason. 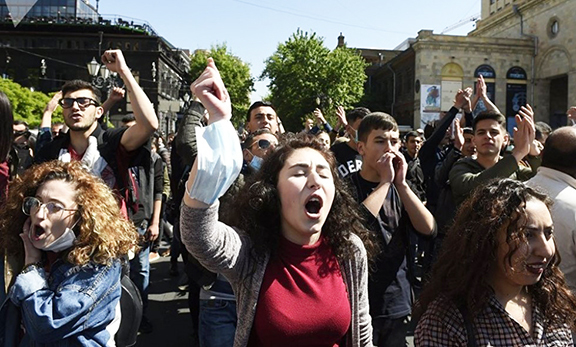 Next France and Co. will pull Aliyev’s strings for about 20-30 years while they drain Azerbaijan dry of its oil fields, then they will dump Azeris so that Armenians and Azeris can be left fighting in the dirt again. Who gets screwed? Armenians first quickly in the beginning, then Azeris slowly, in the end France/US/West wins ultimately and Azeris are left with consolation prize of 4000 year old Armenian ethnic lands that belong to us Armenians. Of course this is what they THINK they can pull off, Mr. Sarkozy was a young school boy and perhaps does not remember how us Armenians reacted in the late 60s, 70s, and especially the 80s when the powers that be tried political strong arm tactics to bury the memory of our murdered mothers, father, and children. This time, if they push, we will push back much harder to remind them who we are. Arstakh will always be ours, no one will ever take it again.